I recently had cause to play with ‘Dynamic Profiles’ in OpenAMv13. If you don’t know then Dynamic Profile is a realm based configuration setting that can dynamically create a user profile in the configured DataStore. This can be useful in many circumstances where the authentication of a user takes place in a service other than the DataStore. Examples of this include using OpenAM as Social Media/Oauth2 client (allowing users to sign in with Facebook), and SAML Service Provider (e.g. allowing users to sign in with Federated credentials). Having authenticated the credentials it now might be useful to maintain a profile of that user that is used throughout their interactions with the services protected by OpenAM. By default OpenAM configures a realm to ‘Require’ a profile entry in the DataStore for an authenticated user. Therefore a user profile has to exist in the DataStore in order for authentication to complete. Now you could provision a set of user profiles into the DataStore using something like OpenIDM to ensure the required profile exists. Or you can set ‘Dynamic’ profiles in OpenAM. This causes OpenAM to dynamically create a profile in the configured DataStore if one does not exist. So, if we’re ‘dynamically’ creating profiles, what data does OpenAM use to populate the DataStore? Good question…and one that this post is designed to answer! As described we want the user to authenticate using their AD credentials. 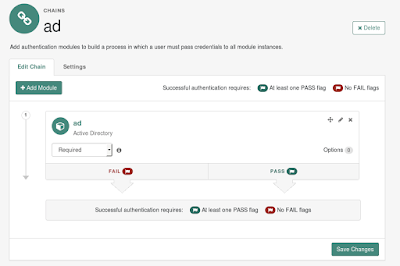 Therefore we need to define the Authentication Chain to contain an LDAP Authentication Module (or the AD module if you prefer). Let’s assume you can get this working (you may choose to set profile as ‘Ignored’ whilst you set this up so that authentication can complete without the need for a profile at all). We’ll be using OpenDJ as the DataStore. Let’s assume you can setup OpenDJ and configure it as a DataStore. The OpenAM documentation on Backstage provides guidance on this. In my experience the description and helptext for this is not entirely accurate. In the scenario I’m describing, OpenAM will retrieve the value of this attribute from the AD/LDAP. It will then be placed into memory for use later on. Let’s call this ‘AttributeX’. Typically the attribute you want to retrieve is the unique identifier for the user, so might be sAMAccountName or uid, for example. We’ll use the value in ‘AttributeX’ later when we search for and find the user profile in the DataStore. You can specify these attributes either as singletons such as ‘sn’ or ‘mail’. Or as pipe separated maps such as phoneNum|telephoneNumber. Note that the singleton syntax such as ‘sn’ will essentially be interpreted as ‘sn|sn’. Ok, so now we know how to extract information from the AD/LDAP that we authenticate against and store it in OpenAM properties. Now let’s look at the DataStore configuration. Therefore I need the search attribute to be ‘cn’ not ‘uid’. As you can see from my desired DN, the container for the ‘people’ records is ‘users’ named by the ‘cn’ property. Hence the value I specify here is ‘cn’. The default (for OpenDJ) is ‘ou’ here. Again, from the desired DN you can see that I needs to specify ‘users’ here, whereas the the default is ‘people’. But the helptext says you must specify the list as ‘TargetAttributeName=SourceAttributeName’ which the defaults don’t follow. Remember that ‘AttributeX’ we collected? Well any singleton attribute in this list will take the value of AttributeX…if it was not explicitly defined in the Authentication Module ‘User Creation Attributes’ map. i.e. if User Creation Attributes included ‘sn’ then the value of that would be used for the ‘sn’ value here. If there was no mapping then ‘sn’ here would take the value of AttributeX. This particular nuance allows you to configure a setting to ensure that attributes that are defined as ‘mandatory’ in the DataStore to always have an attribute value. This avoids record creation errors due to missing data constraints defined in the DataStore. Now, what happens if we use the ‘TargetAttributeName=SourceAttributeName’ format? Well, in this case ‘TargetAttributeName’ refers to the name of the attribute in the DataStore, whereas ‘SourceAttributeName’ refers to the OpenAM property as specified in Create User Attribute Mapping of the Authentication Module. If the OpenAM property name (as defined in Create User Attribute Mapping) exactly matches the name of a DataStore property then you don’t need to specify it at all in this list!! For example, say you want to take the value of ‘givenName’ from the AD/LDAP and place it in the attribute called givenName in the DataStore then all you need to do is specify ‘givenName’ in the Authentication Module Create User Attribute Mapping settings. There is no need to explicitly define it in this list. If you were to just specify givenName then it’s value will be that of the mysterious ‘AttributeX’. For my configuration I set this to ‘cn’. This is a bit of conjecture, but I believe this configuration is used when the DataStore Authentication Module is used. The DataStore Authn Module will take the username entered by the user on the login page and try to find a user record where the ‘cn’ equals it. Now in my scenario this should never happen…I never intend the DataStore to be used as an authentication source…but, as they say, YMMV. This is excellent article to properly understand the confusing attributes’ relationship. I really tried hard in beginning of this year to demystify myself. I have one thing to draw your attention and request to clarify. If you do define it in this list then you must define it as givenName=givenName. “i.e. if User Creation Attributes included ‘sn’ then the value of that would be used for the ‘sn’ value here. But in this case there is a mapping in “User Creation Attributes” in auth. module. So why would AttributeX be applied ? I am currently facing some issues with my SAML configuration and I would appreciate any kind of support or hints. I configured OpenAM (13.5.0) as a SP and an ADFS3 as IdP. My aim is that the user authenticates with SAML and get stored to my database (OpenDJ) after successful authentication. Test 1: I invoked the authentication chain from a client pc and I got a HTTP Status 500 – Single Sign On failed. 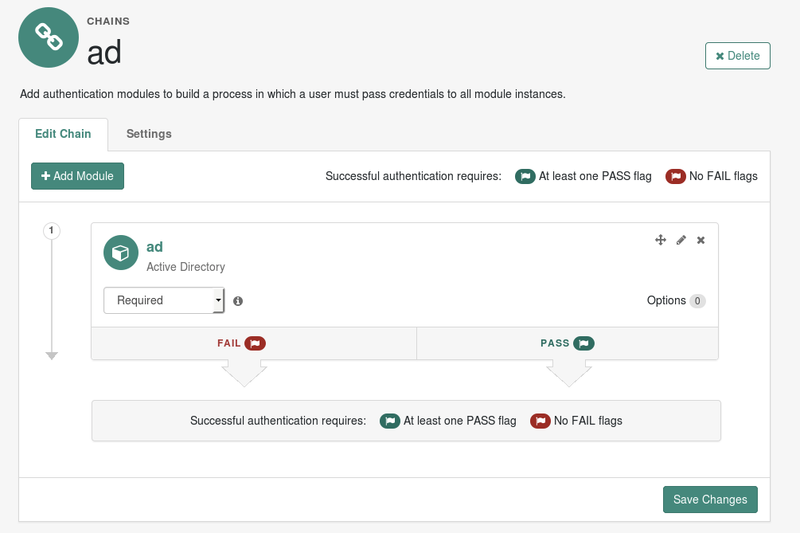 Test 2: If I create the AD account manually – SSO succeeds. Where else do I have to map the attributes and how? Did I missed any settings? I appreciate any kind of support and or hints. Caused by: com.sun.identity.plugin.session.SessionException: Login failed with unknown reason.